Absorption Minister and former General says Israel has plan ready to get Iran out of Syria, adds that Russia and Israel on the same page. 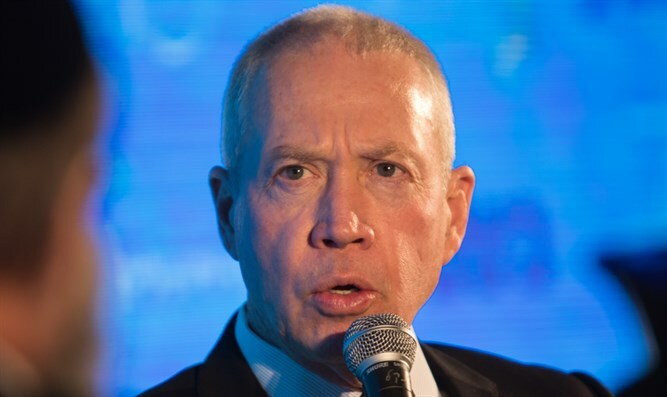 Absorption Minister Yoav Galant said during a cultural event on Shabbat that Israel had a plan to force Iran to leave Syria. The former General added that Russia agreed to Israel’s plan, upon which he did not elaborate. “Israel and Russia have a shared interest to expel the Iranians from Syria,” he said. “As long as the Russians had to defeat the rebel organizations, they saw the Iranians and Hezbollah as partners because they were active on the battlefield,” continued Galant. Galant’s comments come amid rising tensions on Israel’s northern border as the IDF attemps to stop Iran from establishing itself militarily in Syria. Last Monday, Israel hit military targets in Syria in response to the launching of a surface-to-surface missile on Sunday by Iranian forces operating in Syria. The targets hit by Israel included Syrian-operated air defense systems and Iranian munitions depots, an intelligence site, and an Iranian-operated military training camp. At least 21 were reportedly killed in the Israeli strikes, including 12 Iranian soldiers.